JEDDAH: The General Directorate of Passports (GDP), on their official Twitter account @AlJawazatKSA, announced on 20th March 2017, that Undocumented expat workers seeking to correct their status during the original 90-day forgiveness is determined to come back to the kingdom by executing permissible procedures. 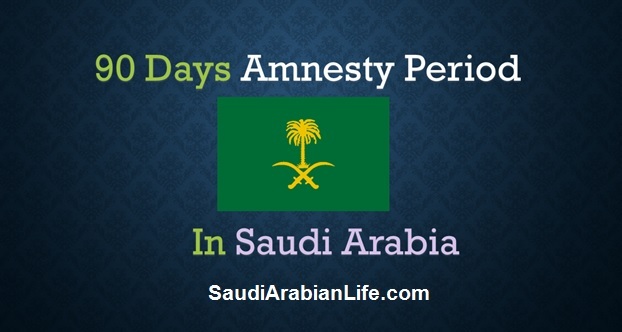 The amnesty period started on March 29 for 90 days. Illegal workers can approach the Authorization (Passport) Departments to settle their position and they “will be exempt from the cost associated with the “deportee fingerprint method” and will be able pursue legal methods to gain entry back into the kingdom. The declaration also stated that unlawful residents working on correcting their position during the 90-day grace stay under the Interior Ministry’s “Nation without Violations” campaign would be cleared of any fines or penalties in regard to violating the Saudi citizenship law, labor system and boarder security in the kingdom. People who came for a Haj or Umrah visit or transit and have overstayed are affected by the campaign. Individuals that will profit from the amnesty period are employees who came to the Kingdom with a work consent but did not attain an Iqama identity card within 90 days after arrival, infiltrators reaching out the Saudi border, citizens with expired Iqamas, pilgrims who performed Haj without attaining a Haj permit and employees who escaped from their employers. "Violators who don’t initiate correcting their status and get detained will be subject to enforcing the rules and policy’s of the labour law and residency system,” said Lt. Col. Talal Al-Shalhoub, spokesman of the General Directorate of Passports (GDP). According to Gen. Sulaiman Al-Yahya, director general of the Passport Department, "Violating the citizenship system includes deportation, a prison sentence and a number of fines. The fine can range between SR15,000 ($4,000) and SR100,000." Al-Yahya further urged violators to utilize the amnesty that exempts them from fines and the consequences associated with the deportee fingerprint system, as it is an opportunity “that may not come again." A similar campaign had taken place in 2013, to legalize the status of undocumented workers in the country. A three-month forgiveness was declared in April 2013, prior to late King Abdullah extending the grace period to November 2013. According to, Interior Ministry spokesman Maj. Gen. Mansour Al-Turki, over 2.5 million violators were recorded to leave the country under that campaign.